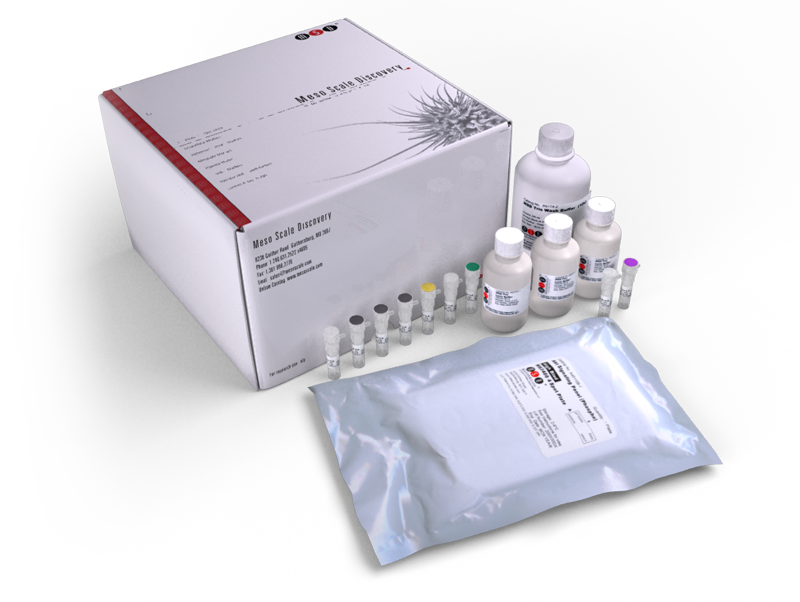 The Rat BNP Assay Kit provides the assay-specific components for the quantitative determination of B-type natriuretic peptide (BNP) in rat serum and plasma samples. BNP is released into the blood stream when ventricle walls of the heart undergo stretch or strain due to increased pressure. Studies have indicated that the levels of BNP are elevated in the plasma of patients with congestive heart failure. The measurement of BNP levels can be used in primary care for accurate and rapid diagnosis of heart failure, and for risk stratification of patients suffering from heart attack in emergency care. It is also used to assess the effectiveness of treatment for heart failure. An electrochemiluminescence (ECL)-based assay for the specific detection of anti-drug antibodies of the IgE isotype. Development of a Rapid Streptavidin Capture-Based Assay for the Tyrosine Phosphorylated CSF-1R in Peripheral Blood Mononuclear Cells. False-positive immunogenicity responses are caused by CD20+ B cell membrane fragments in an anti-ofatumumab antibody bridging assay. Impact of anti-drug antibodies in preclinical pharmacokinetic assessment. Detection of ricin contamination in liquid egg by electrochemiluminescence immunosorbent assay.